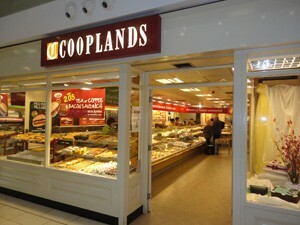 Cooplands Bakers is a long-established retail bakery business with a strong regional following and 85 stores across Yorkshire, Lincolnshire and Nottinghamshire. The business has 550 retail employees, a further 200 in head office and production, and a yearly turnover of £18million – all the hallmarks of a business that knows what its retail and wholesale customers want, and that has evolved to meet the needs of successive generations. The business is split into retail sales – through stores and mobile sandwich deliveries; bakery and despatch – with inhouse baking facilities in Doncaster; and wholesale operations – production of savouries, bread and sandwiches for the industry. 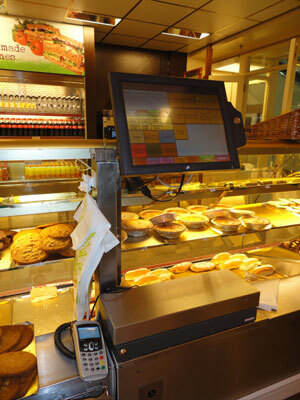 By 2008, Cooplands was running its business using two EPoS systems. Unable to communicate, neither was reliable nor could produce the mission-critical data needed to manage the business efficiently and plan growth. Specialist EPoS solutions company, AlfaRichi, then came on the scene. AlfaRichi was already supplying its software to bakeries and was in the process of designing a bakery-specific EPoS solution. Large shop estates and sales of daily-ordered and carry-over goods make stock management complex for retail bakeries. Cooplands, for example, has 200 lines. Given the bread and fresh cream cakes disposed of each day, wastage is a major drain on their finances. More so than in other retail sectors, bakeries need instant and reliable daily data from each shop to drive stock control and supply. The business feels completely in control and is able to plan expansion confidently. AlfaRichi software, running on J2 PC-based touchscreen tills, has addressed the operational issues a retail bakery faces and has raised the bar on efficiency and profitability. At Cooplands, the software is installed in all the shops and at Head Office, where it helps to perform shop-related operations and is used by Accounting, Sales and Ordering teams. The J2 tills are true PCs and go beyond point-of-sale transactions. They are used in the shops for sales, ordering, stock-related operations such as declaring delivery ‘overs’ and ‘shorts’, ‘shop use’ and ‘damages’, transfer of goods between shops, and wastage. Stock control and ordering have improved. The business – both at a shop manager level and at head office – knows in real-time if stock is running out. When it comes to ordering, the till suggests a quantity for each product, based on past sales. This results in more accurate stock control, fewer empty shelves during the afternoon and less waste to dispose of. “Stock is optimised so we don’t waste as many cakes and pastries,” says McIlroy. As for the order process itself, shop managers do this from the till rather than use a back-office telephone to call in sales each evening. The result is fewer errors, plus more time to spend front-of-shop serving customers. In the past, five Head Office admin’ staff recorded and processed telephone orders from 85 store managers across up to 200 lines. Now orders are now placed via the tills – a virtually error-free and instant process, and only two admin’ staff are needed to extract order data and enter it into the production system. This saving alone meant that Cooplands gained a very fast return on its investment. In all retail businesses, shrinkage erodes profit margins. Using J2’s touchscreen tills, where all products are defined to buttons, makes easy work of data entry and prevents items being sold inadvertently at the wrong price. Other till-based issues include staff ‘selling’ goods to friends and then cancelling the sale to reconcile till cash. The AlfaRichi system eliminates this with ‘void’ reporting. Suspicious instances can be investigated and anything other than a genuine error flagged as dishonesty. Another plus of the AlfaRichi software is ‘shop reconciliation’. With order placement automated, delivered stock can be easily compared against its order and any ‘over’ or ‘short’ items flagged for Head Office to organise additional deliveries. Margins are slim in retail bakery, so it is important to track everything, down to the last gram of butter. A valuable function, unique to AlfaRichi, is the ability to record the weight and composition of made-up items such as sandwiches. The system highlights if precise weight/quantity or ingredient guidelines are not adhered to, say, too much butter being put in a roll, or ham disappearing from stock. Cooplands now has complete visibility and can focus its attention on any shop that departs from the norm; yet another way of eliminating shrinkage through staff theft. Bakeries operate quite complex promotions. With the new solution, it is possible to analyse the true value of each offer and understand how effective it is in terms of margin and increased spend. “Staff don’t have to remember complex promotions – the till does this for us,” says McIlroy. In numerous ways, AlfaRichi and J2 have helped Cooplands increase the efficiency and profitability of its shop estate, at the same time making managers more autonomous and reducing the need for head office resource.